It’s Halloween week people. Time to raise the dead. Nah, more like put your kids in a cool costume: it's time for some Treats 'n Tricks! I’ve just heard on the news that the most popular kids' costume this year is going to be Elsa from Disney’s Frozen. Apparently, thousands of girls have been waiting since December 2013 for their moment to 'Let it go’ this Halloween. So expect a lot ice princesses knocking on your door. Which might not be a very good idea after all - especially if a lot of Elsas will show up asking for candies. You don’t want to be “the drunk guy” that terrorises kids. Or do you? Talking about Treat-or-Tricks: what is the absolute worst halloween treat you ever got? I was talking about this with some friends the other day and some funny stories came up. For instance, I discovered that in some neighborhoods it is not uncommon to hand out to kids mini bibles, bibles quotes stapled to candybars, religious coloring books, and even religious texts on why you’ll go to hell if you celebrate Halloween. Which got me thinking; I get that some people feel differently than myself about Halloween, and I totally respect that. But If you decide not to celebrate it or participate in it - because it goes against your religious beliefs or because you don’t like it - just don’t get involved. It’s okay. However, if you do participate in Halloween festivities, stick to the “rules”. It’s called Treat-or-Trick and kids expect treats. Let kids be kids and have fun. Loose saltines topped with globs of peanut butter. Like, seriously. A quarter. No, not quarterS. Just one quarter. A sunflower seed. Not a bag. ONE sunflower seed. An electric can opener. Sure my friend’s parents were thrilled, but he had no idea what the hell to do with it. A toothbrush, dental floss or mouthwash. Next door neighbor was a dentist, and apparently gave them out every year. Necco Wafers also know as seniors’ favorite candy. If you’re not familiar, Necco wafers are chalky, pastel colored, wafers discs rolled up in a package (there are about 8 of them in a package). And they have to be the worst candy ever. I have yet to know a single kid who likes Necco wafers. 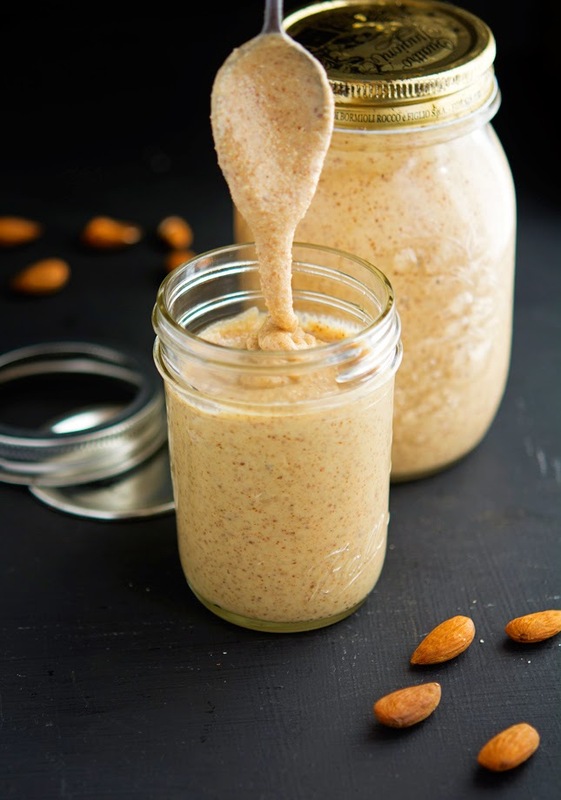 If it was for me, I would give as treats, small mason jars filled with this awesmazing Vanilla Maple Almond Cashew Butter. Because this nut butter is so legit, words can’t describe. Actually, this is one hell of a nut butter. It’s creamy, perfectly balanced and so very yummy. There’s a hint of vanilla, and underlying notes of coconut and maple syrup. But the almonds and cashews really dominate. It’s everything you ever wanted in a nut butter and more! I’m sure kids would dig it! 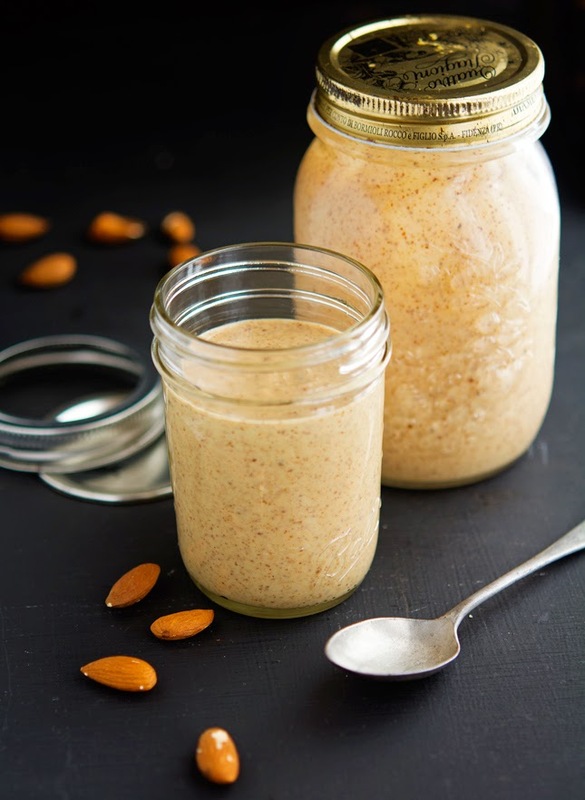 Vanilla Maple Almond Cashew Butter Print this recipe! Add cashews and almonds to the bowl of your food processor and run continuously for 2 minutes. Stop and scrape down the sides and bottom of the bowl. At this point, the almond cashew butter will look gritty and dry, almost like couscous. Run the food processor continuously for another 3 minutes, then stop and scrape down the sides. At this point, the butter will start clumping together. Run the food processor again, the nuts will start to release some of their oil, making the mass more pliable and more inclined to stay within the path of the spinning blade, so you won’t have to stop as often. Still, I recommend stopping the food processor every 3 minutes or so to give the food processor a break and to scrape the sides bottom of the bowl. After 10 minutes, the mixture will start to look a lot more like nut butter. Continue processing, it will take roughly 15 to 20 minutes in total to get a very smooth, creamy, and almost liquid like butter. Add vanilla, maple syrup, coconut oil and sea salt to almond cashew butter and process again until smooth. Transfer to mason jar or container and store at room temperature or in fridge for up to 3 to 4 weeks. 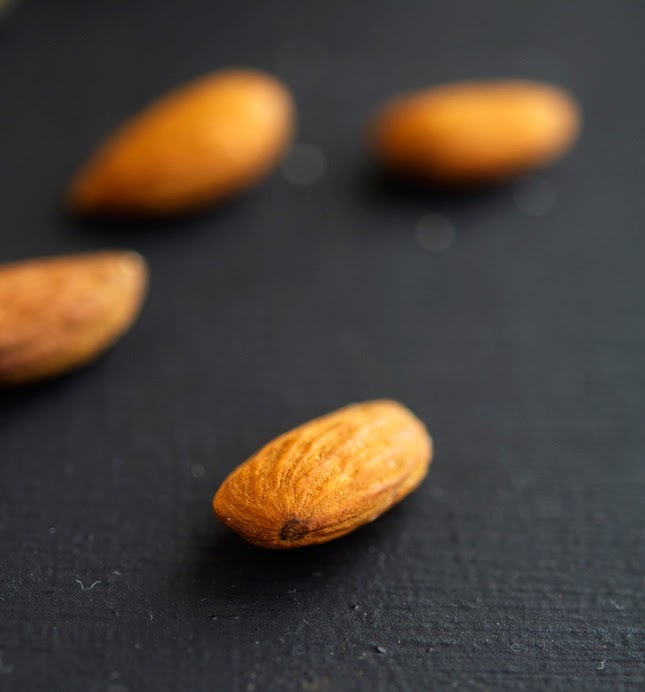 One tablespoon yields 103 calories, 8 grams of fat, 6 grams of carbs, and 3 grams of protein. That's it - am trick or treating by your house! Dude - this stuff - this cashew/almond/maple gold is like crack to me! 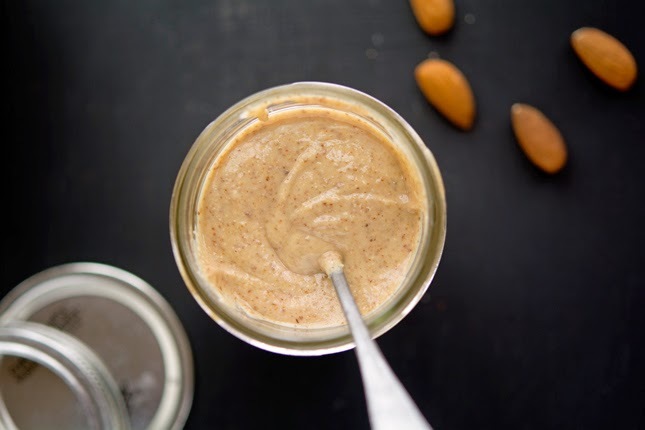 I love homemade nutbutters and this combo is beyond mouthwatering! I never went trick or treating when I was a kid (just wasn't big in SriLanka or AbuDhabi) but my daughter once got a finger flashlight - I thought it was odd, but she loved that thing to bits! Thanks Sam, happy Halloween to you too! Oh, my.... Mike what do you recommend to go with this AMAZING nut butter? it seems pretty pourable - but you do not eat bread, so I am wondering how do you like to savor this concoction? I eat it by the spoonful...sounds like a plan? An Elsa drinking game could be pretty entertaining, but probably wouldn't go over so well the next morning on my long run. I think instead I'll make this awesome vanilla maple almond cashew butter and have a spoonful every time Elsa shows up! Now that is a neat idea Danae, I shall do the same then! 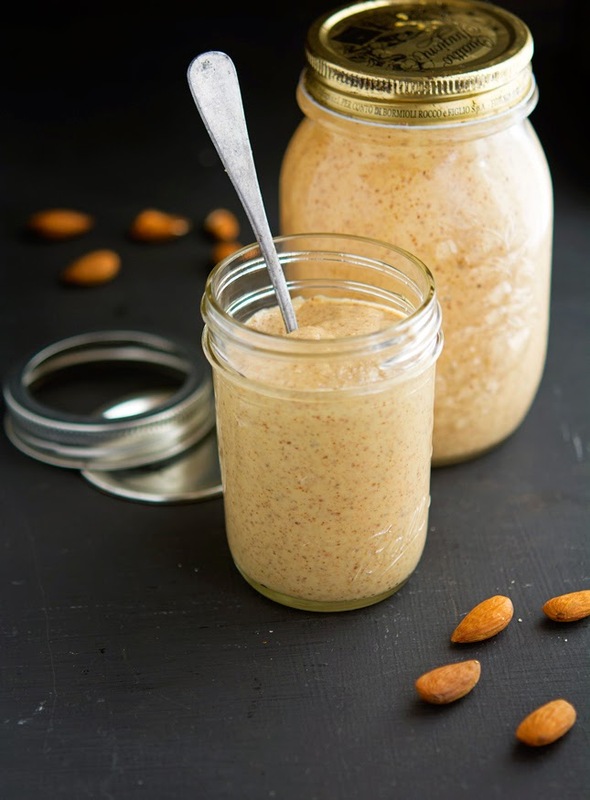 Can I have a huge (not mini) jar of this amazing nut butter, please? Damn this is another mad one! You slayed me with that chocolate almond butter not too far back and now this?Oh and the comment "A sunflower seed. Not a bag. ONE sunflower seed." killed me, too funny. Hi Mike, cashews and almonds, this is good, really good! Cashews and almonds AND vanilla ANS maple syrup...it's really good Cheri! Damn this sounds good, MUST try it! I'm coming trick or treating at your place! This nut butter is bonkers. Im having a moral dilemma with what candy to choose, I just can't give those little elsa's GMO's. Last I heard parents frowned upon giving homemade treats, too bad...they could've scored some mini nut butters. Way to whore out the nuts, mate- almonds AND cashews here? I'll be knocking on your door (which technically, I could- heading to the states for 10 days with a 2 day jaunt in NYC!). Australia thinks halloween is a type of pumpkin. I wish I were kidding. I have just wrapped an electric can opener and it's totally for you. Alrite? When I was in boarding school, I would sneak into the kitchen and eat ALL the cashews!!!!!!!! THEY ARE THE BEST NUT ON THE FACE OF THE PLANET - just say. Take that Pistachios and Walnuts! Oh... To finish my boarding school story - the head chef would get SOOOOO PISSED AT ME, he had to dead bolt the kitchen! You were a riot GiGi! Ah, new design on the blog, nice! You always make me laugh and those recipes are killing me. Good work! Thank you so much E, I'm so happy you like the new design! I'm Alpha because I'm like super cool and I make super dope stuff. You should know this by now! I could eat a scoop of this for breakfast every day of the year, looks amazing! I plan on making this today. Mmmm. BTW I was the kid who LOVED (and still loves) Necco wafers, especially the brown/black ones!!! Thank you Karen for this awesome comment, you've made my day! The best thing I have ever put in my mouth! AMAZING!